In my May 2011 piece, seven years and over 70 posts ago, I wrote about climate change: “we have just had a freezing winter – although the Arctic had a warm one: we just had its cold air”. Seven years later, we’ve had another severely cold spell, unusually with Devon having more snow than most parts of the UK, and again all because the Arctic had a heat bomb – a temperature rise of between 30 and 50 degrees C – which displaced huge quantities of cold air onto Europe and the British Isles. This time what was happening was better understood and accurately forecast – and snow is difficult to forecast. Also, seven years later, we talk less about global warming and more in terms of climate change. It is true that the world is warming and, alarmingly both for us and polar bears, the Arctic is warming more than other parts of the globe. But ‘climate change’ better encapsulates the less benign weather to which we are having to acclimatise. Our cold spell again coincided with an extreme hot spell down under. Australia and New Zealand experienced record temperatures, just as they did during 2010-11, when severe damage was caused to the world’s largest seagrass bed in Shark Bay in Western Australia. 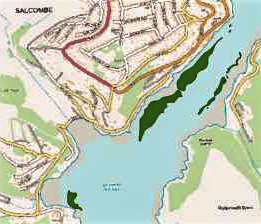 Salcombe Harbour users will be familiar with seagrass. It used to be called eelgrass but that does not capture the beauty of this underwater flowering plant. Most harbours are pleased to have some seagrass and it is often no more than 15cms high: but in Salcombe there are places where it is over a metre high. 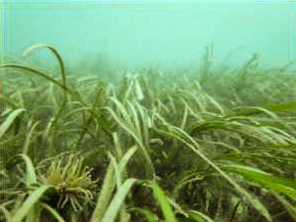 The special feature of seagrass is that it gathers carbon dissolved in the sea and buries it below the surface. However, unlike forests which typically release their carbon after 60 years or so, seagrass can store the carbon for thousands of years. That is why it is such a disaster when it is damaged. The loss of seagrass in Shark Bay alone may have led to the release of as much as 9m tonnes of CO2, increasing Australia’s CO2 emissions by as much as 20%. One need look no further than this for all the rationale you need for protecting seagrass beds. Up to now they have been recognised as vital for many sea creatures. The seagrass slows down currents and provides cover against predators which makes it the perfect home for Salcombe’s seahorses. We now know that it can also help counteract climate change.